From the moment Stuart Vevers took the helm at Coach as the new creative director, there was an immediate impact. I've loved seeing the changes take place and Stuart has revamped the brand and brought a freshness that was needed. You may not know, but Coach offers some truly great outerwear along with the wide selection of bags, shoes, and accessories. Each season their jackets and coats get better and I end up wanting them all. While there are more tailored options, Coach has really honed in on the everyday jacket that's easy to wear and brings a laid-back style. 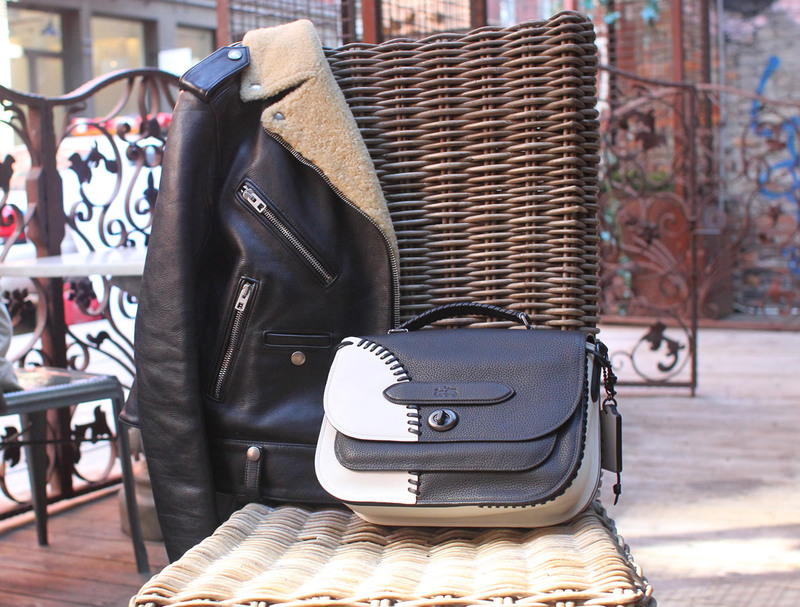 A nice warm leather jacket is just what the cold weather calls for and paired with a good bag, you'll wind up with a great combo. 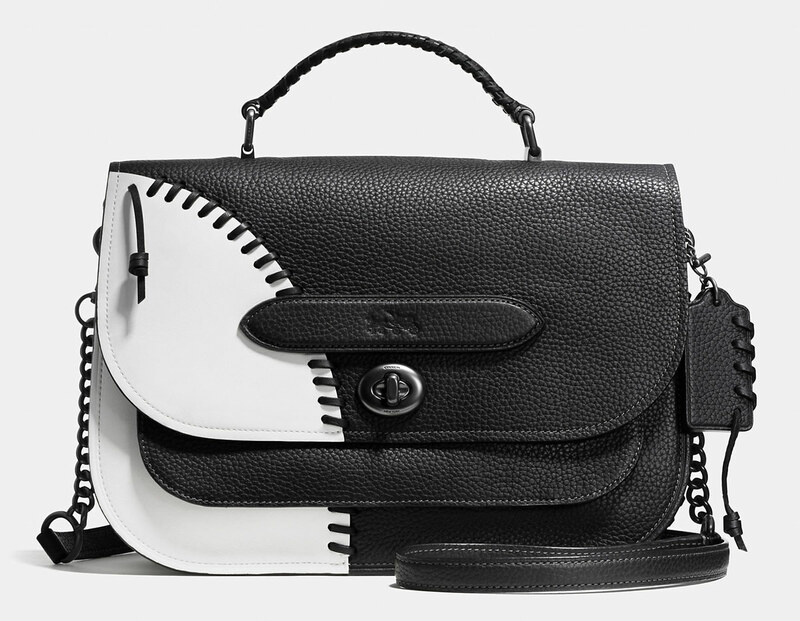 I love the sporty touch of the Coach RIP and Repair Link Messenger Bag, with its heavy black whipstitching and combination of black and white leather. The Coach Boys Biker Jacket sports an oversized motorcycle look as if borrowed from the boys. The two items together give the laid back vibe I love. 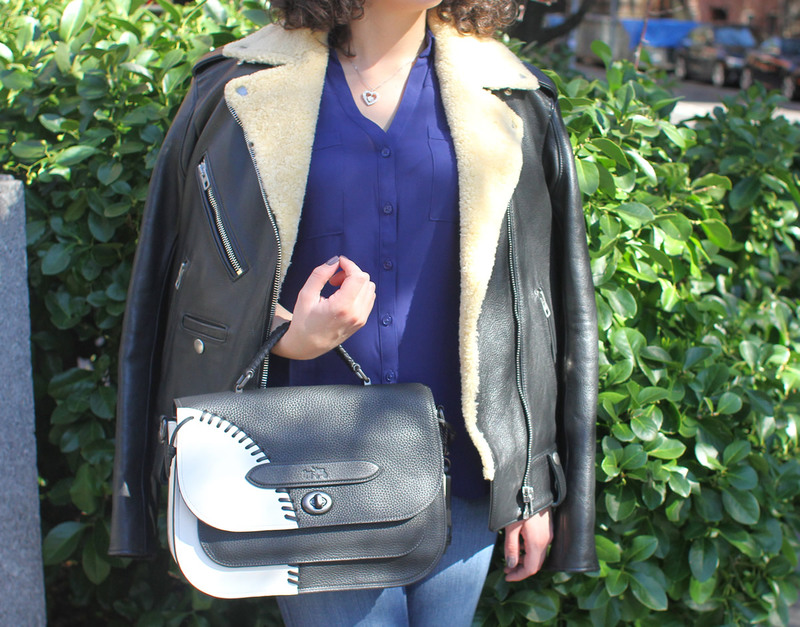 The bag is $695 via Coach and the jacket is $1,795 via Coach.